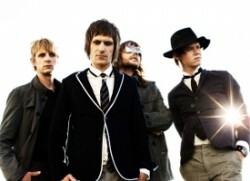 The band has had a number of their songs used in commercials including Samsung and Apple. The Blue Van has also had some of their music featured on television shows like 90210, Countdown-Die Jagd beginnt, and Royal Pains. Additionally, their music has been featured on video games and other commercials. The Blue Van makes some very melody-rich songs that have an old-school Rock sound. A very unique sounding band, The Blue Van have garnered fair amounts of success and attention Denmark, but are still relatively unknown in the United States despite touring extensively with Jet while promoting their album Dear Independence. MarsBands.com likes The Blue Van and recommends you check them out if you like a warm, Classic Rock sound.